One of my favorite pattern lines is my Swirling Leaves patterns. I have two of them on Cre8tion Crochet as free patterns, the beanie/slouch and the blanket. The beanie was actually my first contribution to Cre8tion Crochet. I have more patterns coming soon from that line, and I am super excited about them. One of the items is going to be available on Cre8tion Crochet next month and the others will probably be sometime in late January, early February as well. I’ve designed my first clothing item. 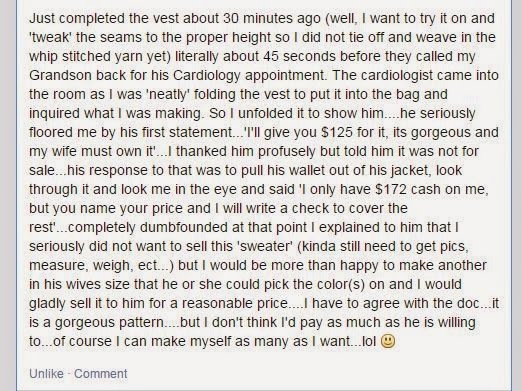 As an example of how absolutely amazing it is, here is an encounter one of my testers had regarding the vest! Happy New Year! I have been super busy the last couple weeks just being Mom and enjoying having time with my munchkins. I hope that y’all had wonderful holidays and time with your families as well. 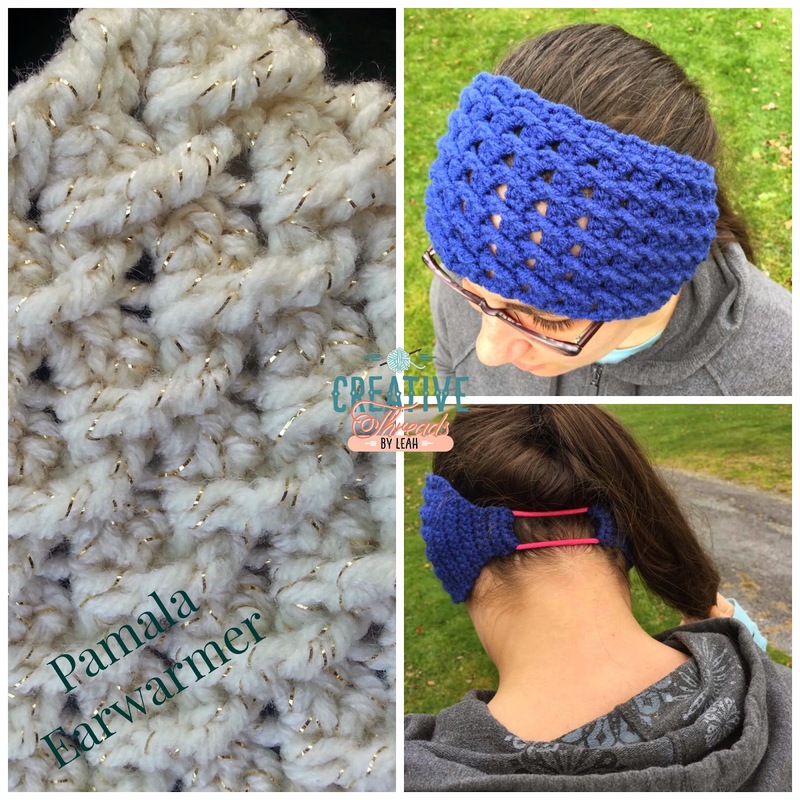 I got to spend some time crocheting and relaxing which was wonderful as well. I am super excited about some of the items that I have coming soon. There are some more Swirling Leaves patterns and I am working on some slippers in the Pamala line with 2 options, basic and cuffed. 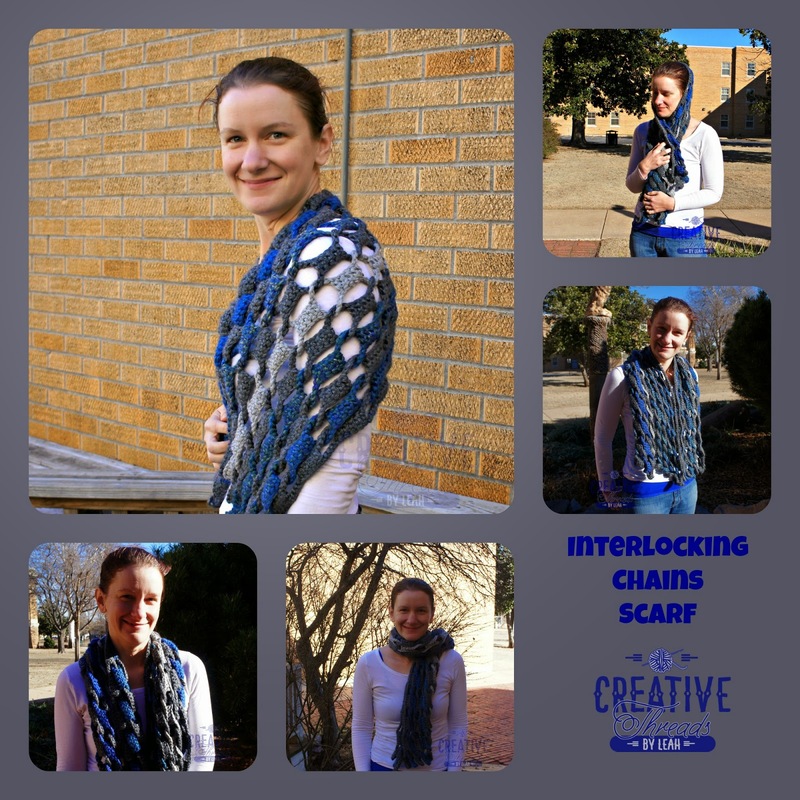 One of the other things that was on my hook over the break was my Interlocking Chains Scarf done in a super bulky yarn. We have had some cold weather move in and I have been very grateful for its warmth because I don’t like cold! 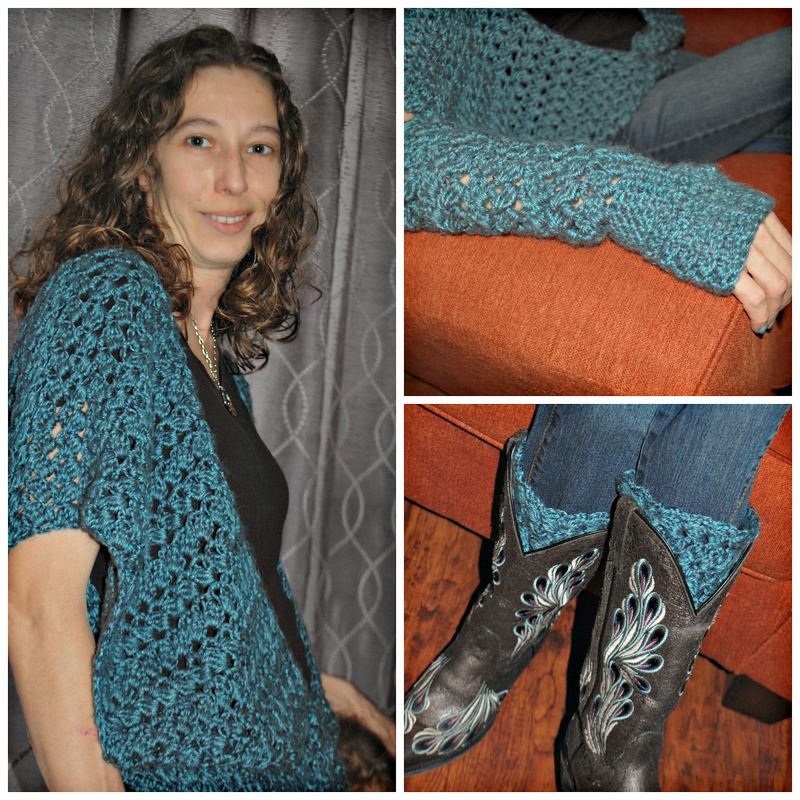 To get the pattern, go HERE to the Cre8tion Crochet blog where I am a contributor. It’s a free pattern, and I hope you enjoy it! Let me know, what colors would you work it in?